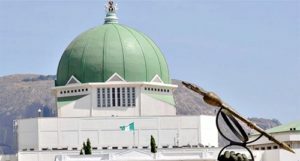 The United Religious Movement has appealed to the headship of the All Progressives Congress (APC) to consider Nigeria’s multi-religious status and heterogeneous nature in allocating leadership positions in the National Assembly. This is coming on the heels of the alleged zonings of the President of the Senate, Speaker of the House of Representatives, Deputy President of the Senate to the North East, South West and North West, respectively. Spokesman of the movement, Apostle Kehinde Collins who made the appeal while addressing a special session with members of the group on Tuesday stated that this is for the sustenance of peace and unity in the country. In the words of Apostle Collins, “Senator Ahmad Lawan and Honourable Femi Gbajabiamila have been recommended by the APC as senate president and speaker of the House of Representatives, respectively. The duo of Lawan and Gbajabiamila are Muslims. “There is need to accommodate Christians in these positions. For the sake of peaceful co-existence among all religious and ethnic groups, there must be fairness and equity in appointments across the board. “The appointments are lopsided and will polarise the country. The leadership of the APC should consider a Christian for either president of the senate or speaker of the House of Representatives.” He insisted. Urging religious leaders to call the political class to order, Collins advised the APC Chairman, Comrade Adams Oshiomhole, to ensure that every ethnic and religious group is given equal opportunity. This entry was posted in Belief, Christianity, Faith, News, Politics and tagged APC, National Assembly, United Religious Movement. Bookmark the permalink.